"The Book of the Celestial Cow" which covers the founding of first dynasty of Egypt with the unification of the 2 kingdoms of Upper and Lower Egypt. lake or ocean (Stuart 2005:75; Marc Zender, personal communication,March 16, 2006). logogram performs in these contexts the same syntactic functionas the glyph for “fire” (K’AK’)." allowed for the creation of a new cosmological order. after him everybody else who wished also passed, understanding by this that it was the fire that shall finish them all. and robbed them of their insignia (Roys 1967:99-100). a passage traditionally interpreted as the destruction of the world caused by a flood (Thompson 1993:214-216; Davoust 1997:256-257; Schele and Grube 1997:198-199). "Streams of water descend from the jaws of a pluvial caiman and from a pair of eclipse glyphs that it carries below its body. a possible reference to the destruction of the world. where another black deity, which has been identified as Zimmerman’s God Z (Zimmermann 1956:164; Bricker 1997:21; Sotelo Santos 2002:165-166; Hernández and Bricker 2004:295-296), appears holding his weapons under a sky band from which rain is pouring. "We notice that the god grasps a spear, two darts, a shield, and a spearthrower. seems to tear a hole in the celestial band. [Often times among many early peoples lightening and thunder are understood in terms of impact events. where amongst other ceremonies, the erection of trees in the four corners of the world can be observed. in the sense that the flooding unleashed a process of cosmic destruction and renewal. whose head was severed in order to build the new cosmological order out of its dismembered remains. [In the reign of 13 Ahau and 1 Ahau were the days and nights that fell without order, and pain was felt throughout the land. there was also born Itzam Cab Ain [Iguana Earth Crocodile]. there was a great cataclysm, and the ages ended with a flood. "The 18 Bak Katún was being counted and in its 17th part. elided with a proto-historical account of the destruction of the "wooden people". Now if I could only work the dates in the Chilam Balam texts. and with its dismembered body parts, formed the world. Last edited by E.P. Grondine on Sun Apr 30, 2017 8:56 am, edited 1 time in total. but everyone missed the role impact events played in the peoples' world views. Mike Rugieri, who moderates Aztlan list, has a real problem accepting the existence of recent comet and asteroid impact events. in Timothy Knowlton's 2004 dissertation (Tulane Univ. 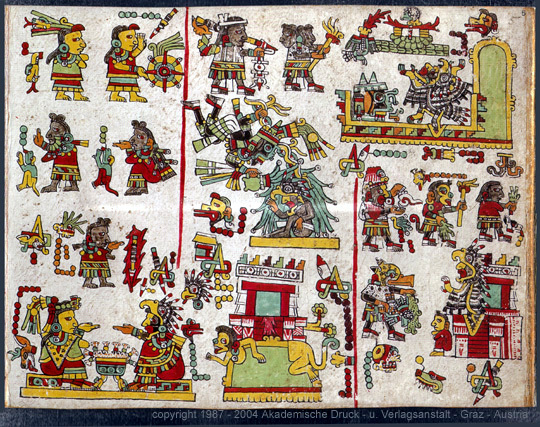 ), "Diaologism in the Languages of Colonial Maya Creation Myths." Press under the title: "Maya Creation Myths: Words and Worlds of the Chilam Balam"
I've read with interest the various discussions about 'water over the world". There could NOT have been 4 destructions of the world because we are still here. [Destructions and creations of the world depended on the points of local views. Dave Hixson raises an important question about the meaning of the /il/ infix in the expression, /ha-il-yokol-cab/ or /hay-il-yokol-cab/. If in this expression "ha" means water, then the expression would be "the water of the world,"
even as in modern Yucatec, /ha-il-a-w-ich/ means "the water of your eye," or "tears." but, rather, /hay/ or destruction -- i.e. "the destruction of the world." n conjunction with the slaying of Itzam Cab Ain. Timothy Knowlton's 2004 dissertation (Tulane Univ. ), "Diaologism in the Languages of Colonial Maya Creation Myths." "D. M. Urquidi" <@yahoo.com> ""
No,Linda Schele determined that the flood glyph was conneccted to the Venus glyph on page 113 on the Caracol Stela 3.9.9.18.16.3 (Dec. 24. 631.) of the Star Wars booklet from the Maya Meeting in 1994. The dripping elements are from the nova instead. [Dea is a died in the wool Velikovsky fan ansd friend of the late Linda Schelle. This would have been my translation of haiyokocab as well. Except for the extra /i/ inserted into the word. I would have expected, based upon standard Maya root formation that there would have been a consonant or a glide before or in place of the /i/. as there is in fact a word "ha'il" (with the glottal stop between the vowels). This term is glossed as "acuatico, aguadija, secrecion". Without that glottal stop, I don't think one should ignore that /i/ as possibly changing the meaning of this term. I do caution that this seems to assume an insertion of a consonant between the first two vowels, or the the omission of the second vowel. Perhaps there is a linguist on the list who could explain the placement of this /i/, since I welcome any corrections to my understanding of Maya orthography. "Nothing more useless than a bored archaeologist"
I submitted my message before I saw all of yours, so my apologies for the redundancy. /hay/ as 'destruction' over the earth? Bolles' reading of /hay/ as 'flatten' would seem to be semantically related to the root 'stretch thin, make flat', yes? - albeit with the EK'star/Venus sign included. is /hub'/, meaning 'fall, collapse', and elsewhere as 'destroy, knock over'. or follow it as a suffix, whereas other examples have a /ya/ suffix. which contains both the /yi/ and the /ya/ as suffixes following the whole version of the "Star Wars" glyph that includes the KAB' component. The /-yi/ would seem to be a completive/past tense form, though it may tell us that the root does have a final /-y/. The /-yi-ya/ combination is less common, but it may read 'since it was destroyed/attacked'. and thus it is not cognate with /jay/ meaning 'thin', 'stretched out'. The Motul entry is <haycabal, haycabil>: 'destruicion o asolamiento y diluvio general con que fue destruido y asolado el mundo'. > rather to general destruction and widespread mortality ('gran mortandad'). > However, there seems to be a persistent association with destructive floods. > <haiyokocab>, analyzable as /ha(a)y yok'ol kab/ 'destruction over the earth'. > 'earth-destruction' plus an abstractive suffix producing '(the general concept of) earth destruction'. what has been thought to be a great end-of-world flood. The terms 'black sky' and 'black earth' appear in the text above, which opens with an unknown verb that may be "watery". Perhaps someone has deciphered it? referring in this case to the flowing blood of the beast. Perhaps this may be a flood reference, but the verb in question is followed by 'u-CH'ICH'/K'IK' -le: /'u-ch'ich'el/k'ik'-el/ 'his blood'. > where he discusses the Temple XIX passage that Barb references, as well as other passages that discuss floods and the flow of blood. > > In 1907, Tozzer recorded a story near Valladolid, Yucatan in which there is a narrative of four successive creations and their destructions by floods. In writing of the initial creation, he notes, "This first epoch was separated from the second by a flood called _haiyokocab_ (water over the earth)." > > Tozzer, Alfred (1907) A comparative study of the Mayas and the Lacandones. Arch. Inst. Am. Rep. of Fellow in Am. Arch., 1902-05, N.Y.
> > (The quote is cited in Tozzer 1941, ff. 633, as from pp. 153-4). haycabal_ and _haycabil_ used in the Books of Chilam Balam" (1970: 341). > > 1) What is the specific etymology and meaning of "haiyokocab"? > So could this phrase be the meaning of the so-called "star wars" glyph that shows droplets over an earth sign? My question was really about the possible long-term continuity of a significant trope. In Classic glyphic texts we see a Venus sign with water over a toponym, like Seibal or Naranjo. Could the term registered in Colonial-period prose and myth as "water over earth" (without specifying a particular place) be a continuation of the same concept (whatever it is). It is historically /h/-initial rather than /j/-initial, according to the Motul Dictionary, and thus it is not cognate with /jay/ meaning 'thin', 'stretched out'. suggest that it does not refer specifically to flooding but rather to general destruction and widespread mortality ('gran mortandad'). However, there seems to be a persistent association with destructive floods. In the Cordemex (p. 190) under <hayah> one finds multiple examples suggesting that /hay/ is an intransitive root (<hayi winik>) and is transitivized with causative /-(e)s/; it also forms compounds with verbs and nouns (<hay kimil>, <hay kab>, also on p.190) suggesting an attributive function, and at times it behaves as a noun, as in Tozzer's form <haiyokocab>, analyzable as /ha(a)y yok'ol kab/ 'destruction over the earth'. which can be analyzed as ha(ay)-kab-il/-al 'earth-destruction' plus an abstractive suffix producing '(the general concept of) earth destruction'. As for any epigraphic references to floods, we have of course the scene on p. 74 of the Dresden Codex depicting what has been thought to be a great end-of-world flood. The terms 'black sky' and 'black earth' appear in the text above, which opens with an unknown verb that may be "watery". Perhaps someone has deciphered it? And on pages 68-77 of David Stuart's (2005) The Inscriptions from Temple XIX at Palenque there is discussion of a primordial crocodile sacrifice featuring another undeciphered "watery" verb, referring in this case to the flowing blood of the beast. Perhaps this may be a flood reference, but the verb in question is followed by 'u-CH'ICH'/K'IK' -le: /'u-ch'ich'el/k'ik'-el/ 'his blood'. In 1907, Tozzer recorded a story near Valladolid, Yucatan in which there is a narrative of four successive creations and their destructions by floods. "This first epoch was separated from the second by a flood called _haiyokocab_ (water over the earth)." Tozzer, Alfred (1907) A comparative study of the Mayas and the Lacandones. Arch. Inst. Am. Rep. of Fellow in Am. Arch., 1902-05, N.Y.
(The quote is cited in Tozzer 1941, ff. 633, as from pp. 153-4). In "Maya History and Religion," Thompson speculated that "haiyokocab" was "comparable to the terms _haycabal_ and _haycabil_ used in the Books of Chilam Balam" (1970: 341). 1) What is the specific etymology and meaning of "haiyokocab"? 2) Is it a typical name for a flood or a name for a special kind of flood? 3) Was Thompson correct about comparable terms in the Books of Chilam Balam? 2) Is there any epigraphic evidence for related terms in pre-Contact literature? where he discusses the Temple XIX passage that Barb references, as well as other passages that discuss floods and the flow of blood. > It is historically /h/-initial rather than /j/-initial, according to the Motul Dictionary, and thus it is not cognate with /jay/ meaning 'thin', 'stretched out'. but rather to general destruction and widespread mortality ('gran mortandad'). and at times it behaves as a noun, as in Tozzer's form <haiyokocab>, analyzable as /ha(a)y yok'ol kab/ 'destruction over the earth'. > Thompson is correct in his understanding of the simpler terms <haycabal> and <haycabil>, which can be analyzed as ha(ay)-kab-il/-al 'earth-destruction' plus an abstractive suffix producing '(the general concept of) earth destruction'. > As for any epigraphic references to floods, we have of course the scene on p. 74 of the Dresden Codex depicting what has been thought to be a great end-of-world flood. The terms 'black sky' and 'black earth' appear in the text above, which opens with an unknown verb that may be "watery". Perhaps someone has deciphered it? > And on pages 68-77 of David Stuart's (2005) The Inscriptions from Temple XIX at Palenque there is discussion of a primordial crocodile sacrifice featuring another undeciphered "watery" verb, referring in this case to the flowing blood of the beast. Perhaps this may be a flood reference, but the verb in question is followed by 'u-CH'ICH'/K'IK' -le: /'u-ch'ich'el/k'ik'-el/ 'his blood'. > Tozzer, Alfred (1907) A comparative study of the Mayas and the Lacandones. Arch. Inst. Am. Rep. of Fellow in Am. Arch., 1902-05, N.Y.
> (The quote is cited in Tozzer 1941, ff. 633, as from pp. 153-4). > In "Maya History and Religion," Thompson speculated that "haiyokocab" was "comparable to the terms _haycabal_ and _haycabil_ used in the Books of Chilam Balam" (1970: 341). > 1) What is the specific etymology and meaning of "haiyokocab"? > 2) Is it a typical name for a flood or a name for a special kind of flood? > 3) Was Thompson correct about comparable terms in the Books of Chilam Balam? > 2) Is there any epigraphic evidence for related terms in pre-Contact literature? Indeed, this paper by Erik Velasquez Garcia is excellent, and I should have mentioned it as well, but was headed out the door to the airport. It's well worth further thought, particularly as John Hoopes has raised the question of whether *any* post-contact sources referring to a flood, including Landa, are untainted with Christian doctrine. Velasquez-Garcia's paper makes the best case thus far for a pre-contact Maya flood/destruction belief, so perhaps we can have a fruitful conversation about his ideas. My contributions to the discussion are more likely to be linguistic and epigraphic. platform, south side, is most likely related. There is a repeated, undeciphered glyph in this text (F4 and F5) that refers to a deluge of blood following the decapitation of the Celestial Caiman. > Lacandones. Arch. Inst. Am. Rep. of Fellow in Am. Arch., 1902-05, N.Y.
> In "Maya History and Religion," Thompson speculated that "haiyokocab"
> of Chilam Balam" (1970: 341). So could this phrase be the meaning of the so-called "star wars" glyph that shows droplets over an earth sign? Last edited by E.P. Grondine on Sun Apr 30, 2017 9:01 am, edited 6 times in total. of these Bacabs that they escaped when the world was destroyed by the deluge (Tozzer 1975:135-136). There occurred the suffering of the Can [Heavens] Uls. Just within the beginning of the dark of the moon, or else just at its completion. The finishing of the burden of the Katun. That is seated in the heart of the island in Cozumel. [From what Bolles notes, apparently, there was another Cozumel Island off the North East coast of the Peten, with a harbor on the mainland. which completes the lordship of the thirteen lords. Who are then born and created. Cutting the pyramid of the sun and the world. THE BOOK OF THE 13 GODS. Then occurs the great Itzam Cab Ain. The fold of the Katun. And then will be cut the throat of Itzam Cab Ain. Who bears the country on his back. To tie the stone face [mask] and return the lordships. But they didn’t know their names. And they also didn’t show their [own] faces to them either. To the thirteen levels of heaven. and the nose of the skeleton. On account of the 13 Gods. But they didn’t know what was going. Of the moon there is dropped flat. By the margin of the sea. Which was released by the yearbearers. 3 Oc is the time it arrived here. The word of the returned katun. con ellos soltará su carga. En Saclactun, Piedras-blancas, se establecerá Ah Ek Uilo, El-Nergo-Uilo. de siete medidas será la sobrecarga de la carga que allá exista. Terminará el poder el Katún con siete años de poder de Kin, Sol"
Siete años serán de guerra, siete años de muertes violentas. Pero todo se aquietará cuando termine la palabra del katún. entonces será el fin y término del poder de los Ah Kines, Sacerdotes-del-culto-solar. which show the heart sacrifice and the seating of the stone of the katun. Last edited by E.P. Grondine on Sun Apr 30, 2017 9:20 am, edited 3 times in total. Now let me sort these "myths" out for all of you. and the flooding of the Peten. whose skin forms the land and whose blood forms the water. 2) Then you have the death of the "wooden people" by impact tsunami. had a very serious effect on the relations between the Nahuatl priests and the Maya based priests. In closing this worknote, I also need to note that impact mega-tsunamis can also be highly directional, if caused by a tangential impactor. Another item to note is the simultaneous impacts of multiple fragments can occur. Last edited by E.P. Grondine on Sun Apr 30, 2017 9:24 am, edited 1 time in total. Thanks to the University of Bonn for making available free copies of the 5th conference papers on early Yucatec writings. the Chilam Balam texts, and how they politely avoid confrontation in favor of mutually supportive methods. Neither of them mention Caso's pioneering work with the Northern texts using those techniques. While Gussenheimier rejects a 1544 first translation date, Harada demonstrates it convincingly by locating the agents. To review, essentially what the Spanish conquistadors had done was kill off the local kings and take their place. and now would serve their new Spanish overlords. The "Princes" had to compete for their positions in turn. and any inter-tribal conflicts they could use, to extend their control and to obtain maximum profit. The priests needed to know the local religion in order to carry out conversion to the Catholic faith. What neither Gussenheimer nor Harada do is take the heart sacrifice and seating the tun of 1561-1562? although Harada has a far better sense of its social function. initial writers, or to later editors. "Holtun Itza" should read "Harbor of Itza", following Bolles. For the Mayan peoples, there were two paddlers in the canoe, one of whom was the ahau can, keeper of the Ah May Can (caan). and of the Ah May Kin (kin). who was THE Chilam Balam. I suspect that sometime in the future a native Chinese writer is really going to be able to tear the hell out of the analysis of Mayan hieroglyphic. Of coursem for historical purposes nothing beats contemporary documents, if they can be 1)read and 2) understood. "Partitioning Event" , what has been viewed as the separation (hence "partitioning") of the land with the heavens (cab from caan). This "Partitioning Event" even has its own glyph, previously read as tz'oc, but now read as ch'oc, I seem to recall. but it seems to me that these "Partitioning Events"
would better be viewed as Impact Events. 7 September, 2325 BCE - A white headband was closed for White? thought by some scholars to be a planetary conjunction. > any other evidence for an eruption or impact at this time. > is in 2036 BC. Further, the Campo de Cielo impact (at "Matawil") has now been radio carbon dated consistent with 2325 BCE. Were the Gods of the Night comets? Or was it the "partitioners" themselves? Where "PE" stands for '"Partitioning Event". It is clear that the first White Owl Jaguar is not a mortal being, a person, as no one lives for 1700 or so years. I wonder if White Owl Jaguar is related to Lady White from Palenque? And then later some individual either claimed his powers or saw him again? All of this well precedes 1014 CE. It is unclear from the statements of Craine and Reindorp whether the parts in brackets are new readings, restorations from other copies, or their own additions to the text. “[In the reign of 13 Ahau and 1 Ahau were the days and nights that fell without order, and pain was felt throughout the land. Because of this] the Thirteen Gods and the Nine Gods created the world and life; there also was born Itzam Cab Ain (The Spirit of the Earth Crocodile, the Milky Way - see Schele, Maya Cosmos, page 97,-epg). “[Ah Mesencab (glossed by Craine and Reindrop as the Four Bacab, but the Musencabs are shamans, see below )] turned the sky and the Peten upside down, and the Nine Gods raised up Itzam Cab Ain (the Spirit of the Earth Crocodile). “There was a great cataclysm, and the ages ended with a flood. The 18 Bak Katun was being counted and in its 17th part. “[Ah Mesencab (again, glossed by Craine and Reindrop as the Four Bacab, but see below)], the one who laid waste to the Earth, rose up in the Katun 11 Ahau and bandaged the face of the Thirteen Gods (this appears to be bad translation of “ put (a) mask(s) on ”), but they did not know his name and they were told he was called Father, Son, and Holy Ghost [an obvious Hispanic insertion]. When the Thirteen Gods told them fire, stones, and clubs came down. “They did not know that the heart of the tubercule (tuber=manioc?) was gone. After the evil sons and daughters were buried, although alive [they had no hearts], and those who were on the beach were buried between the waves of the sea. “After this cataclysm the Red Imix (=Alligator:Munro,1986;=Milky Way:Schele, 1993) Tree was erected, for it is one of the supports of heaven and the sign of the dawn. “Kan Xib, the father, planted the White Imix (Milky Way) Tree to the north, and Zac Xob Chac says that this is a sign of destruction. The Black Imix (Milky Way) Tree was planted to the west of Peten for the pixoy to sit upon. The [...] planted the Yellow Imix (Milky Way) Tree to the south of Peten. The Green Imix (Milky Way) Tree (The hallucinogenic ceiba tree.) was planted in the middle of the earth as a record of the destruction of the world. Since then [...] has established his gourd, his bowl, and his mat.” (These last are signs of office.). The shamans rituals are established next, with the preparation of the hallucinogens followed by the heart sacrifice. “Crushing the Zic, crushing the Top, and wrapping the seeds of the first Nine Tz’acab, which went to the Thirteen Levels of Heaven. “The heart of the Moon there is dropped flat. And the fatherless, the miserable, and those without spouses or living relatives, (Sacrificial victims came from these populations.) “and those that don’t have hearts, then began to rot, by the margin of the sand, by the margin of the sea. What follows is the description of the Bacabs, the Sky-Bearers, interlaced with the then current Spanish execution of their five priests. “When the lands have been flattened, then there returns the Red (east) Imix (Alligator=Milky Way) Tree, that is proceeding to pass the four. That is the sign of the flattening of the land; that is the toppling of the Tree of the Fathers of the Land, called the East Priest Xib Yuy. “Then there returns the White Imix (Alligator=Milky Way) Tree to the north; he is called the North Priest Xic, the sign of the flattening of the lands. “Then also returns the Black Imix (Alligator=Milky Way) Tree to the west country, the sign of the flattening of the lands, that is the Black Imix Tree, seating the West Priest Tam Puc the Weak. “Seating the Yellow Imix (Alligator=Milky Way) Tree to the south of the country, the sign of the flattening of the lands, seating the South Priest Oyal Mut. “...This is the arrival of the end of the word of the Sun Priest of Muzen Cab and Za Bac Na, which completes the lordship of the Thirteen Lords (Gods). “1 Ahau is the day for it, when they will join with each other: the rising Sun, and Moon, and night. “Then comes the dawn from the Thirteen Gods, for the Nine Gods, who are then born and created. “Then is born Itzam Can Ain (the Spirit of the Milky Way), cutting the Pyramid of the Sun and the World. “Then the sky is divided (from the Earth by the four Bacabs), and the land is raised. “And then there begins The Book of the Thirteen Gods. “Then occurs the great flooding of the Earth. “The ending of the word (the book? ): the fold of the Katun: that is a flood which will be the ending of the word of the katun. “But they did not agree, the Nine Gods; and then will be cut the throat of Itzam Cab Ain (the Spirit of the Milky Way) who bears the country upon his back. This last sentence refers to the tying on of a ritual mask, and by doing so they would be re-establishing the old rituals and return their local leaders to power. “It is very necessary, the path that is the introduction to the heart. This is the tun period, when it was shaped by our Father the Remote. “This is the taking of the occasion: this is the bal-che (?+tree) ceremony, as we honor Him here. We, the rulers spread in many parts, worship them, the true Gods. “There they are as tuns, the established representation of the True God, our God, our Father, who is God the Father of Heaven and Earth, the true God. “However, the first gods were leperous gods, finished is the word of their worship. They have been done in by the benediction of the Father in Heaven. Then it ends, the redemption of the tz’oc (tz’uk = partitioning of Earth and Heavens = impact event - epg) is over, (by) the twice born life of the true God, the true Dios. When they sweetly prayed to heaven and earth, that put an end to the gods of you Mayan people. Shattered is the belief in your gods then. “This is the account of the land at that time. That is because it was written there, because it would not have happened at the time of the making of these books. These are the thousand words here for the examination of the Mayan people here, who may know how they were born and (how they) settled the land here in this country. “In 11 Ahau, that was when there began the Muzen Cabs (some kind of priests) to tie the faces of the Thirteen Gods - and they did not know their true names, for their older sisters and their engendered sons, their offspring, and those who are not grown: perhaps even their faces and their voices are gone. The dawning of the land they did not know about either, the going and the coming. “and then there were finished the Thirteen who are Gods, by the Nine who are Gods. “And then were finished the Thirteen who are Gods; and so their heads were beaten, and their faces were flattened (by the impact blast), and then their faces were flattened, and then they were forgotten, and then they were also carried away (by the mega-tsunami). “And then were planted the four cangel (heavenly bodies, see below), together with the Soot Heads. Then was created also the Quetzal and the Blue Bird. “And then was created the placenta of breast plants, and the heart of breast squash, and breast pumpkin, and breast beans, the wrapping of the seed of the First Nine Steps (these are most likely the hallucinogens). “Then they went to the thirteenth (13th) level of (the) heaven(s), and so then were established his membranes, and his nose, his skeleton here in the world. So then went his heart, because of the Thirteen who are Gods. But they did not know his heart was to be a plant. “The South Priest Xib Yuy then bore the North Alligator (Milky Way) Tree in the north. And then he bore the Entrance to (the) Heaven(s), the sign of the flattening of the lands. That is the North Alligator (Milky Way) Tree, said to be carried. “And then he bore the West Alligator (Mikly Way) Tree to the seat of the black-breasted weaver bird. “And then he bore the South Alligator (Milky Way) Tree to the sign of the flattening of the lands to seat the yellow-breasted weaver bird. “And was seated the South Priest Xib Yuy, and the South Priest Oyal Mut. And then he bore the Center Alligator (Milky Way) Tree to the middle, signifying the flattening of the land. When I did my first survey, who was mythical and who was a real historical person was not clear. they still are not clear. How did everyone miss this one? Right at the Falklands beach! kbs2244 wrote: How did everyone miss this one? I'll let you in on a little secret. Hydro-carbons pool in the fractures around large impacts. So, we should check out Exxon's geology archives? kbs2244 wrote: So, we should check out Exxon's geology archives? G*d bless Alfonso Caso for breaking into the mixtec hieroglyphic texts. and identifying the ethnonyms and toponyms. as they vary in their colors, and breaks and bends in their strings.